Area Depicted: This view shows Grand harbour crowded with shipping. To the right, the Upper barracca is without its roof (removed c 1775), and the quarantine barriers are clearly visible. 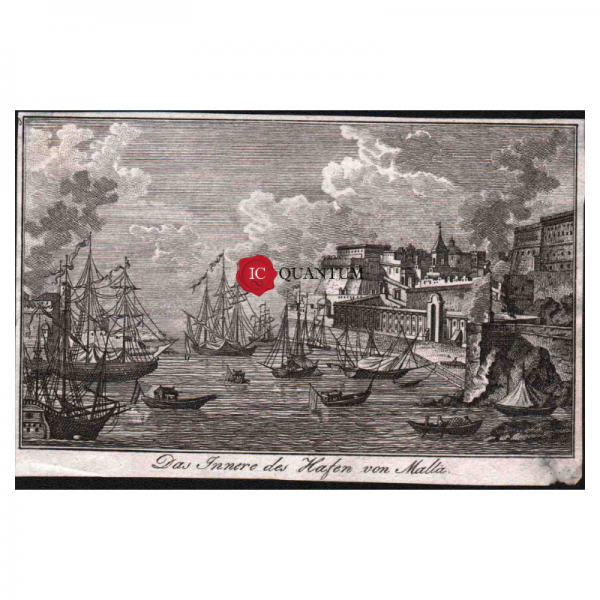 Notes: This crude copy is part of the 2nd view taken taken from Jean Claude Richard Abbé de Saint-Non Voyage Pittoresque ou Description des Royaumes de Naples et de Sicile. This view is found after page 62, being also engraving number 9.